Hope’s collection of punk-chic outfits complemented the grunge of the ever-changing Freak Alley graffiti displays and the hidden downtown gem of the Capitol Garage for her senior session last year, with a little less grunge for the second half of her photoshoot by the Greenbelt and up at the Boise Depot…but no less fun. Highlights below! This girl is such a rock star! 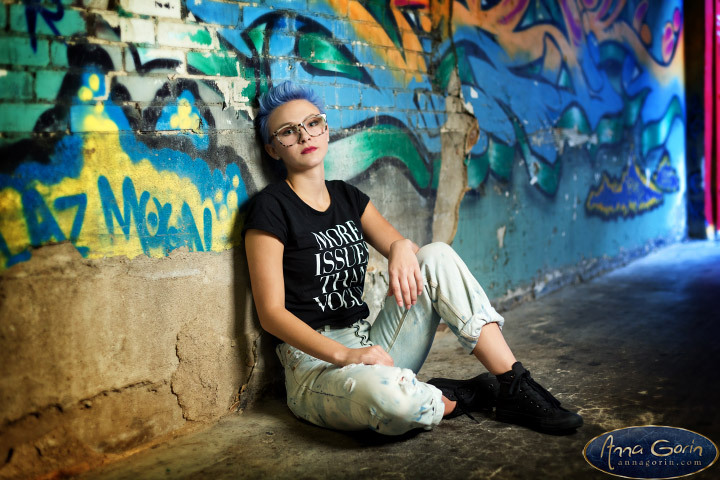 Audrey’s collection of outfits and gorgeous colorful hair went perfectly with Boise’s grungier side at Freak Alley and some of the older buildings by the Record Exchange…and we lucked out with the weather as a front blew through town within half an hour of wrapping up her session. Highlights from her October session below!